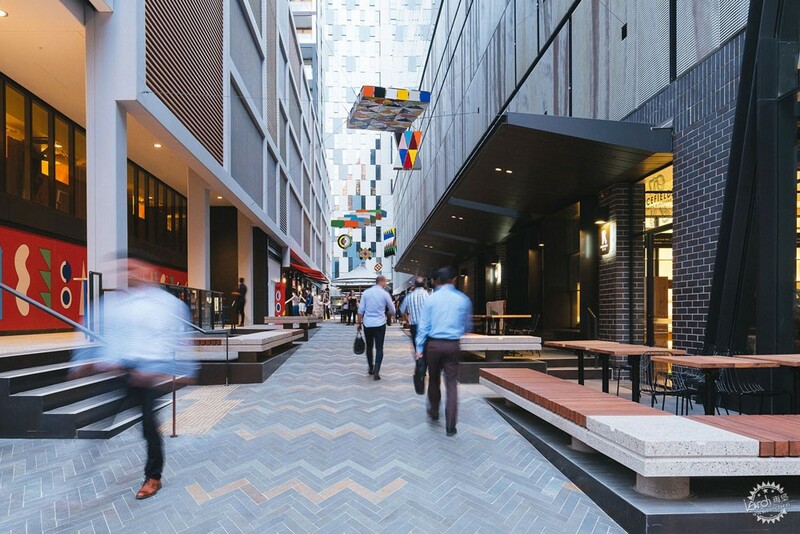 ASPECT Studios: Steam Mill Lane is the first of a series of new public realm spaces being delivered and designed as part of the Darling Square urban regeneration project in Sydney. 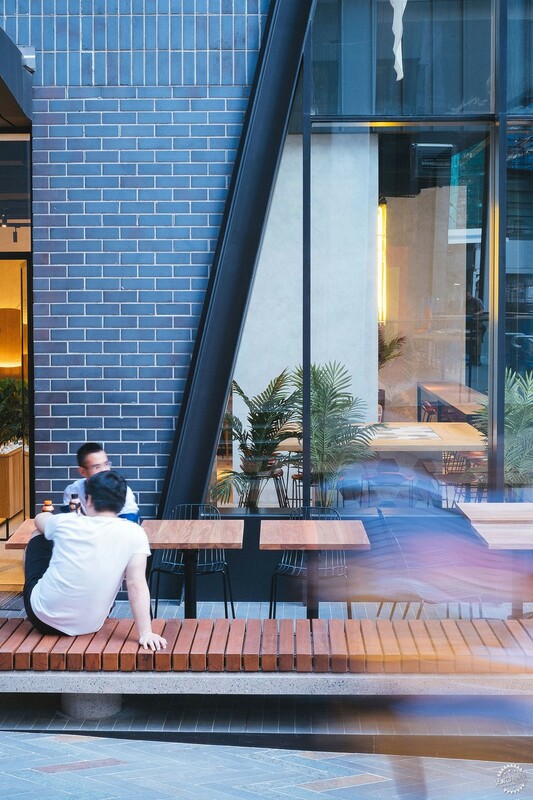 The outcome is a fine grain and beautifully detailed retail lined laneway which has been carefully curated as a 360-degree environment with consideration of public furniture, public art, retail composition, and building materials and interfaces. 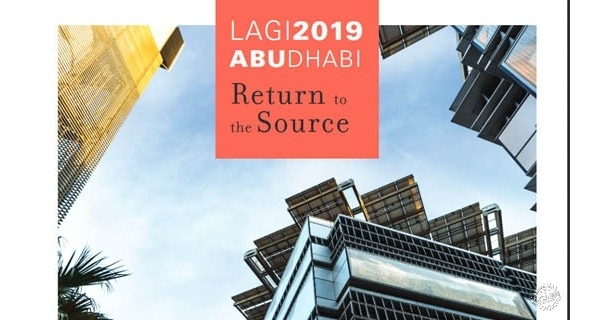 ASPECT Studios’ role was to oversee and influence the retail design and curate the public art as well as designing the more traditional public realm elements. Working hand-in-hand with clients and the building architects, ASPECT Studios produced a series of architectural guidelines to influence the retail tenancy size, the architectural resolution of the building at the ground plane, the awnings, and the external spaces which offer a spill out and an activation of the lane. 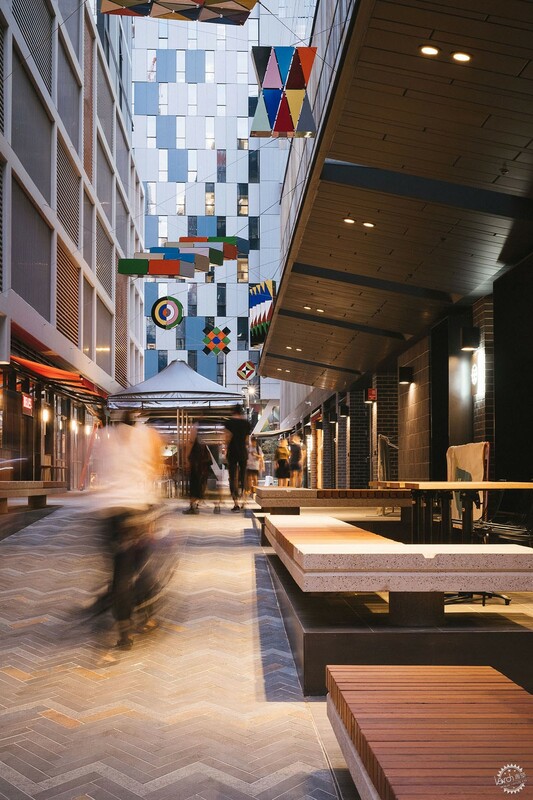 The laneway retail offers both hospitality and lifestyle stores supporting the needs of the rapidly evolving community located in the residential towers above. 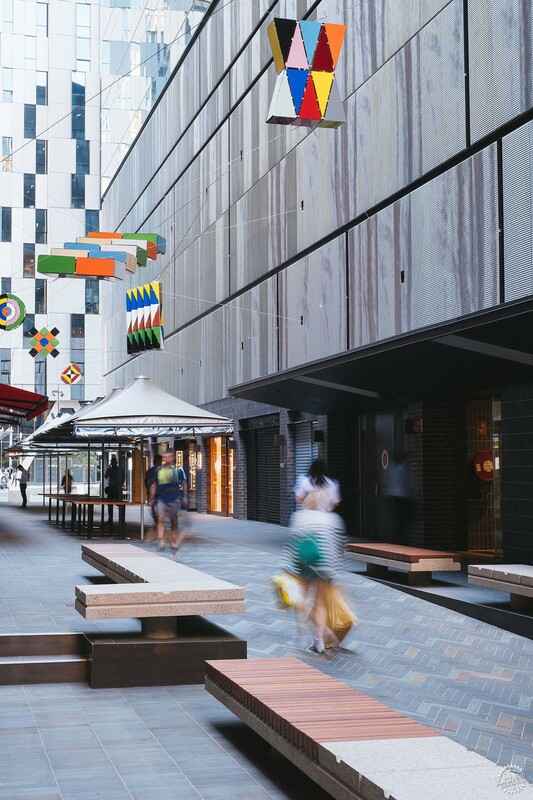 The concept was to create a suspended frame of art and lighting to deliver a joyous public ceiling to the laneway whilst assisting with way-finding and enhancing the sense of place and the night-time economy. Artist Peta Kruger was chosen from a pool of three shortlisted artists, all briefed and assessed by the design team. 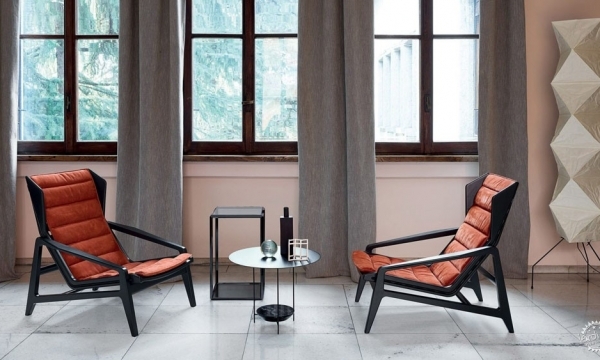 The design of the public domain consists of a series of beautifully crafted furniture elements. 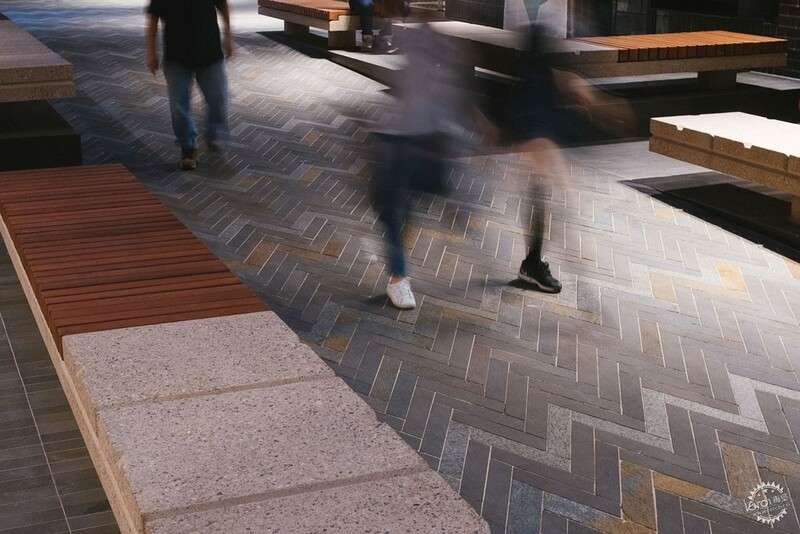 The paving is a delicate carpet which extends from Darling Drive through to the pedestrian Boulevard. 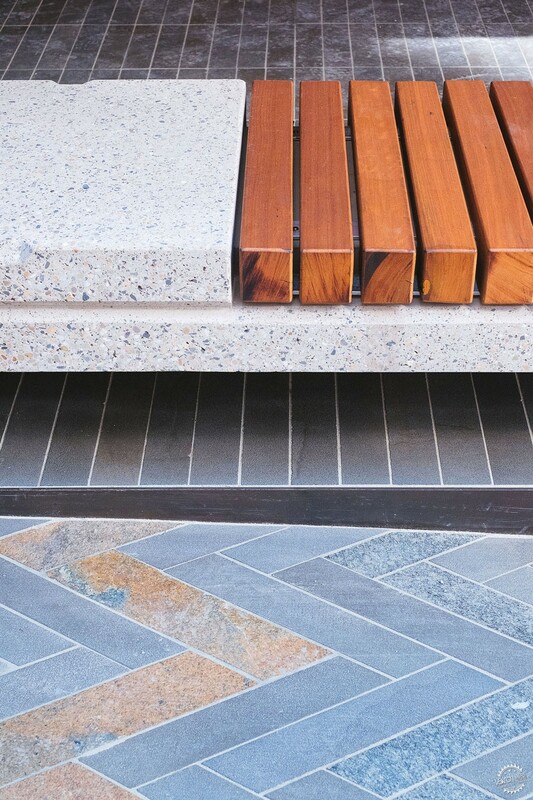 Timber seats which sit on top of large scale precast concrete plinths float above the laneway and provide seating at the edges to give it definition activation. Every detail has been considered at the scale of the person. 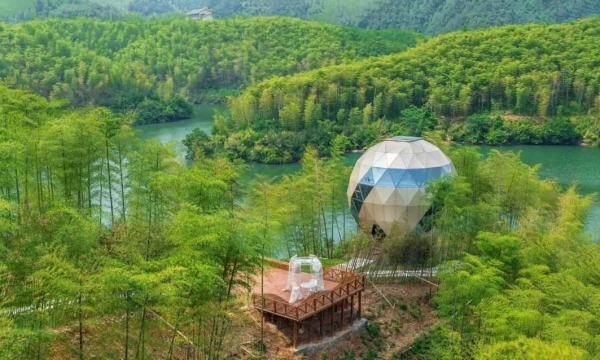 There are places for individuals and groups.